Sterling Silver 2 Row 6.0-6.5mm White Round Akoya Cultured Pearl High Luster Necklace 17"-18"
2 Row Akoya Cultured pearl necklace. A Perfect Gift Everyone Will Loves. 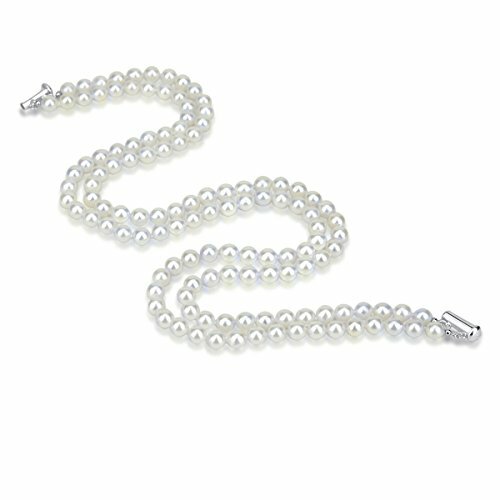 Sterling Silver 6-7mm White Rice Freshwater Cultured Pearl Necklace 32"
Sterling Silver White Freshwater Cultured A Quality Pearl Necklace (7.5-8mm), 24"